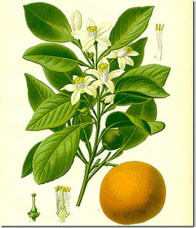 Orange oil, as with other citrus oils are actually cold pressed from the rind, not steam distilled as a traditional essential oil. Orange is the perfect oil for adding to drinks and smoothies, diffusing as an air freshener and adding to your cleaning routine. As with all citrus oils, orange is photo toxic so make sure to cover up when in the sun for 12 hours after applying.